FX: The End of the World as we knew It ? I recently went to Imperial College to give a lecture on currency management issues and decided to post a quick summary of it here. If you want more detailed information , feel free to contact me. 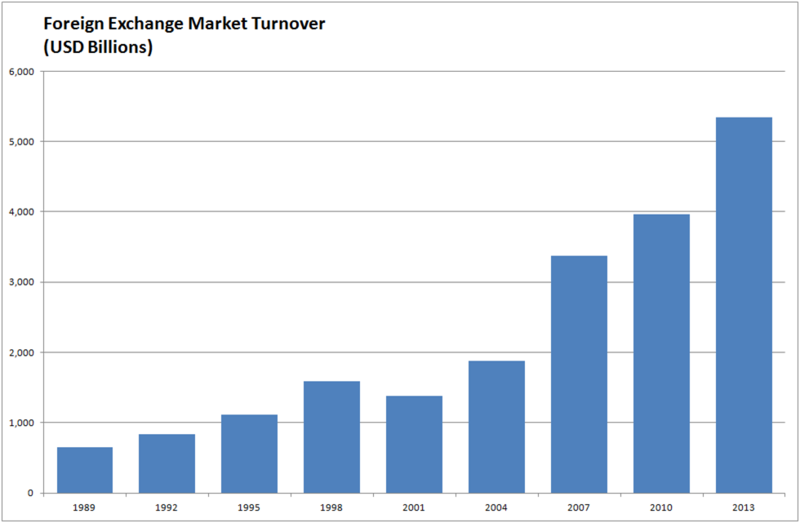 The first chart shows the evolution of the FX turnover as reported by the BIS in its triennial FX survey. Clearly we have seen a significant increase in FX volume being transacted. From a paltry estimated daily turnover of 650 billions market participants are now dealing close to 5 trillions dollar a day. The rise in the percentage of foreign assets held in both institutional and private portfolios has been supported by both by the increase in the degree of openness of major world economies and the quest for greater portfolio diversification . Therefore currencies have been called to play a greater role as they became the necessary conduct to foreign assets. Subsequently active managers have developed their currency forecasting skills and incorporated directional forecasts in their asset allocation decisions. This somehow brought a new breed of managers that focussed solely on currencies, be it for speculative (currency as an asset class) or hedging reasons (currency overlay). Indeed a more specialised knowledge is arguably required due to the specificity of currency markets. 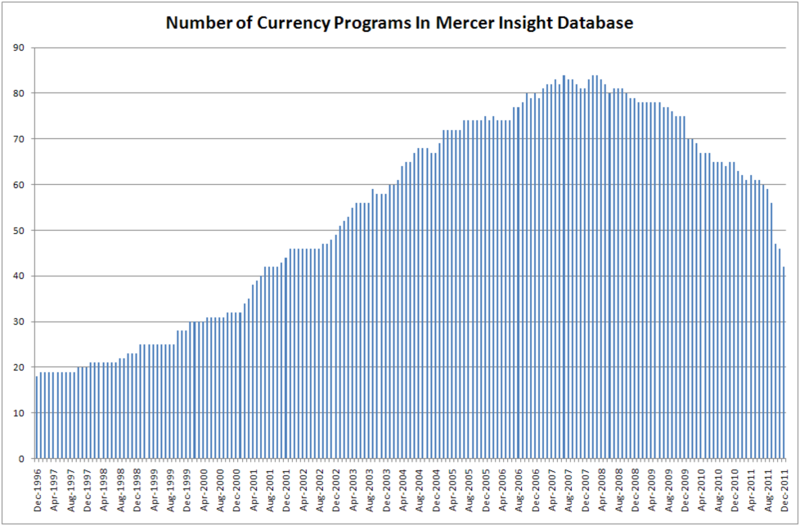 The success and growth in numbers of those managers is well illustrated by the below charts that shows the rolling 3-year risk adjusted return of the median currency managers and the number of currency programs tracked by the investment consultant Mercer. Despite a promising start both in absolute and relative terms it is fair to say that the typical currency manager performance has somehow degraded over the last decade. The number of pure currency programs has been significantly reduced since 2008. Recently we have seen the closure of funds managed by FX concepts, QFS and Brevan Howard amongst other casualties. The recent history of risk and the particular chain of events that took place following the onset of the Sub-Prime Mortgage crisis has a strong explanatory power to this as it triggered the change of market regime which affected negatively the performance of many active managers out there be them currency or else. 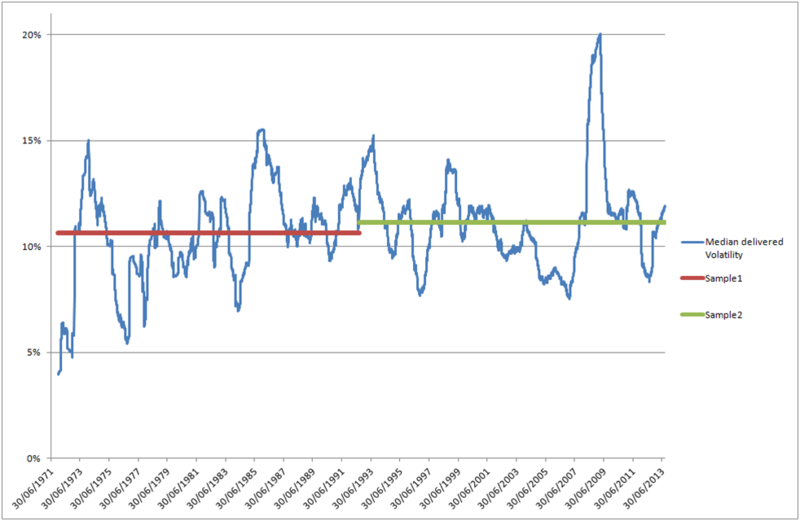 The following chart shows the ratio between the volatility of the VIX and its nominal level over a rolling period of 21 days, which historically has been a good classifier of risk events. Clearly risk spikes have been more frequent and it may well be that active managers as a whole found it more difficult to operate within this new regime. Maybe some strategies were too “naive” or clearly lacking in portfolio construction and robust risk management. Possible explanation to lesser returns may lie in central banks driving their monetary policy in unchartered territory in an attempt to deal with the financial crisis. This resulted in short term interest rates reaching absurdly low levels globally. This somehow eroded the incentive the carry strategy which had been a significant source of returns for currency managers. 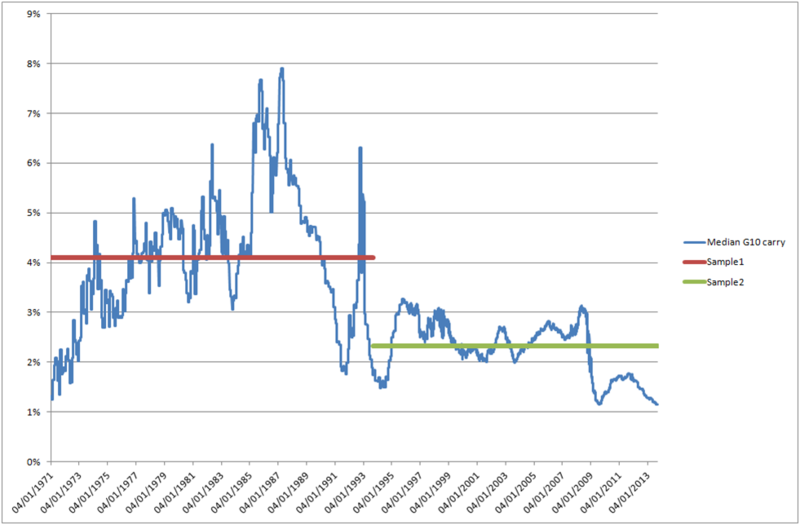 Looking at a large sample of data spanning from the early 70′ to date it is noticeable that the short term carry that can be obtained through buying currencies with a high level of interest and selling the ones with low nominal interest rate has steadily decreased from what used to be to currently reach an all time low. The above charts show that the median level of carry spread for G10 crosses (1-month nominal rate differentials) has decreased from 4.10% to 2.32% whilst the average level of delivered volatility for the 45 exchange rates in focus has increased from a median 10.63% over the first period to 11.44 % for the second period. In other word the average delivered risk return of G10 carry strategies has nearly halved from 0.39 to 0.21 prior albeit modest transaction costs. At current level of carry of close to 1% the risk return of carry stands at close to 0.1 which is clearly not very attractive from an investor standpoint of view. However damaging the reduction in spreads and change in market risk regimes may have been to the performance of managers it is fair to argue that those may be just transitory in nature and that better days will come for currency managers when central banks will step back from their extraordinary measures. More concerning to investors may be some structural issues that have remained unnoticed or ignored by many managers. The last 25 years has been dominated by significant progresses in telecommunication and computing technology. Those innovations have had without any doubts a massive impact on how market practitioners transact in the markets. 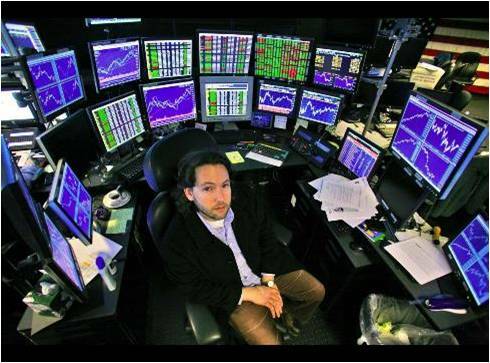 Technology developments clearly affected trader’s ability to access the market in terms of speed , efficiency and information gathering. 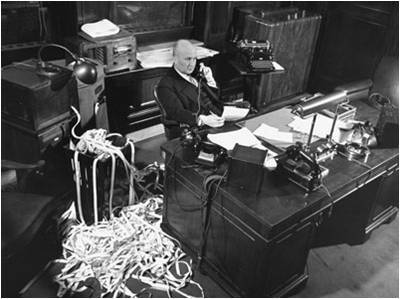 It is symptomatic indeed that over the last couple of decades voice broking virtually disappeared whilst electronic trading platforms came to dominate the trading landscape. I surmise that a significantly enhanced transparency, price discovery and sharply increased speed of transaction may have put us a step closer to a strong form of market efficiency as described by Fama (1970). 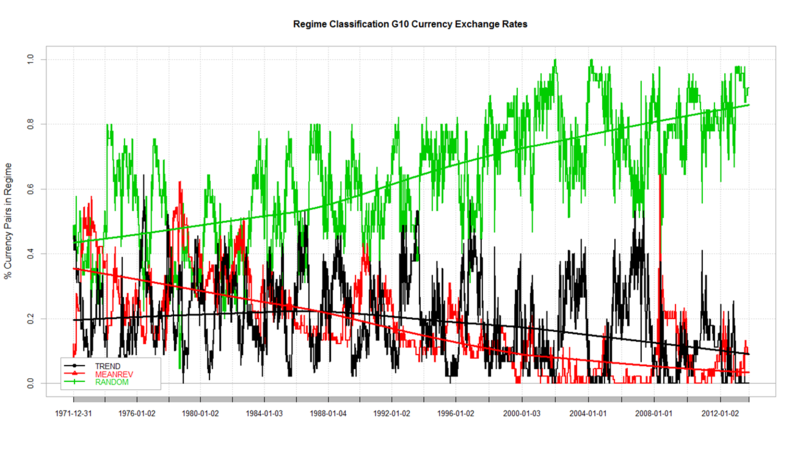 Currency can be classified under different regimes (trending, mean reverting or random) by using the autocorrelation and drift significance of the underlying time price series. The below figure shows the aggregated level of membership to each regime and its local polynomial regression fit for the 45 G10 crosses since 1971. We used a rolling window of 125 days to do conduct the analysis ( contact me if you want to know about the methodology I used). The most dominant feature is the significant increase in exchange rate randomness which correlates with the decrease in performance of currency managers observed over the last decade. Clearly some managers have fared better than other due to their exposure to less liquid emerging market currencies therefore reaping higher return because of larger interest rate spreads, however as was seen during various crisis and in early 2014 this would have been by taking on board greater risk premium and therefore being of a disputable service to investors. World globalisation and the growth in technological and transactional technology over the last few decades has reshaped the investor opportunity set as Lebaron (1999) partly concluded in his own research it also explains the disappearance of some inefficiencies. The KOF Swiss Economic Institute , one of the leading economic “think tanks” in Switzerland compiles the Index of Globalization. 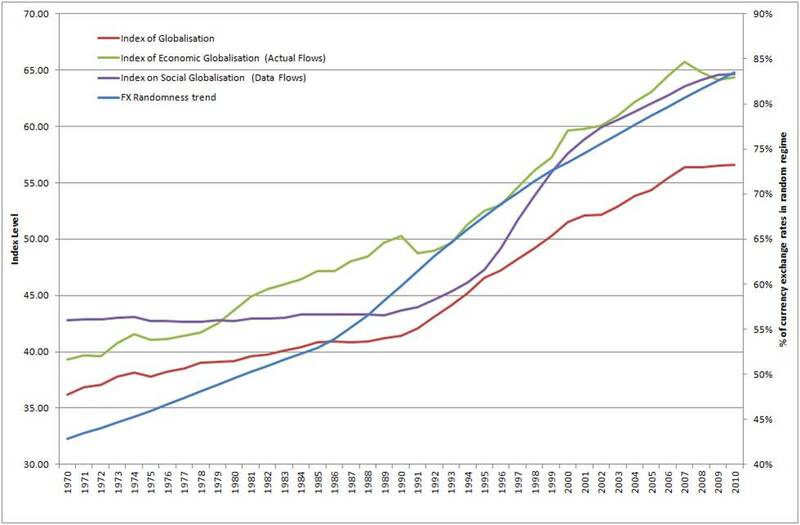 The index measures three main dimensions of globalization, namely: economic, social and political. There are also sub-indices referring to actual economic flows , economic restrictions , data on information flows , data on personal contact and data on cultural proximity. The data is available on a yearly basis for 207 countries. It is currently available for the period 1970 – 2010 . Clearly the KOF Index of globalisation provides a tangible evidence of how much more integrated the world has become over the period 1970 to 2010 as shown in the below figures. The darker the shade the more “globalised” a country is, clearly the world in 2010 has become a darker shade of grey and therefore is more “integrated” or “globalised”. Over the last 40 odd years huge technological progresses have been made. Communication and computing technology has equipped us with the ability to capture and analyse a broader set of information at a near real time frequency. It is now possible to transfer assets across borders at the flick of a button and therefore to settle transaction over very short term periods. The transactional technology and a greater openness of countries economies has allowed for investor to have a faster response time to the information set at hand. The following shows the average index of globalization for 175 countries as well as the sub-indices for actual economic flows (as a broad measure of economic openness) and data on information flows (as a measure of communication technology progress). 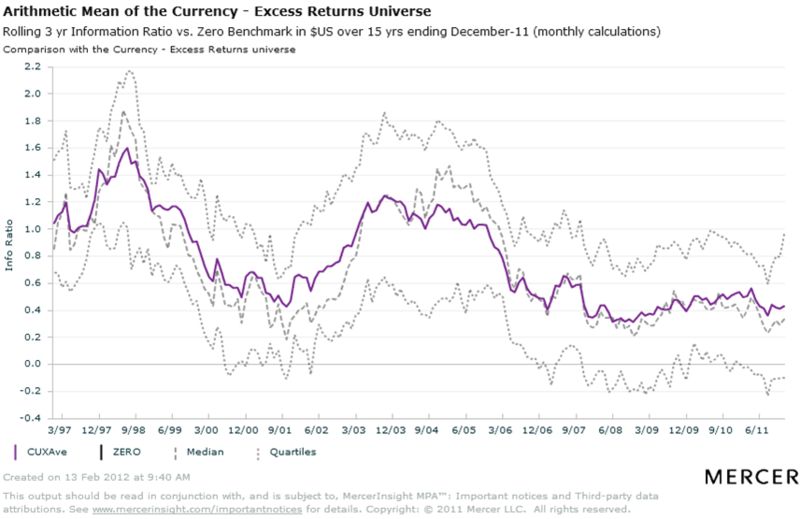 It is apparent from the above that the trend in the level of randomness of currencies has significantly increased over the last 40 odd years and that this trend correlates positively to the globalisation trend, greater openness of world economies and development in communication technology. The predictability of currencies over that period has lessened as would be consistent with higher information arrival and availability. Clearly the cheaper cost of microchips and software has brought us a step closer to the strong form of market efficiency. Single style / naive currency strategies are therefore less likely to be of interest to investors as the premises they are based upon have been seriously impaired by those developments. It is therefore likely that most systematic or discretionary investment processes relying on past tenets might encounter significant headwinds as we have seen. However the variability in exchange rate membership to the random/trending and mean reverting regime that I have observed in my research may offer some opportunities to managers who invest time and resources on regime detection technology. It is therefore my belief that investors should give greater consideration to multifactor regime switching frameworks be them systematic or fundamentals in order to derive significant returns from FX markets. Posted in FX, Market efficiency, Market Risk on May 14, 2014 by Pierre.